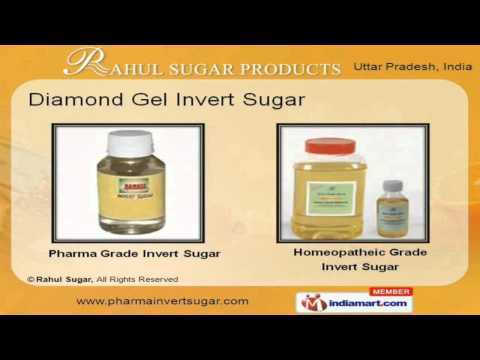 Welcome to Rahul Sugar Products, Manufacturer & Exporter of Invert Sugar Products. We are an ISO 9001:2008 & 22000:2005 certified company, incorporated at Ghaziabad. Our state of the art infrastructure has helped us to gain clients across food & pharmaceuticals industry. Affordable prices, timeliness, innovative, qualitative & modern R&D wings are some of the attributes of our organization. Some of the quality parameters of our company are ready to use, sweeter than sugar, stable & highly purified. Our product list includes diamond, golden & energetic invert sugar. Our Pharma & homoeopathic grade invert sugar are available at competitive prices. We offer unani & distillery grade invert sugar that are manufactured with superior grade raw materials. Along with that we offer golden syrup invert sugar which are applicable in various food industries. We also offer Pharma & Honey grade invert sugar that are known for their best quality.